Tottenham Hotspur head into Wednesday's Champions League quarter-final second leg at the Etihad Stadium looking to progress to the final four of the competition for the first time in their history. With the competition in its current format, Spurs have never managed to progress past the last eight stage and have given themselves the perfect platform to do so following a 1-0 victory over Premier League rivals Manchester City in the first leg. The north London side overcame a controversial VAR penalty decision and the loss of star striker ​Harry Kane to grab a crucial victory. 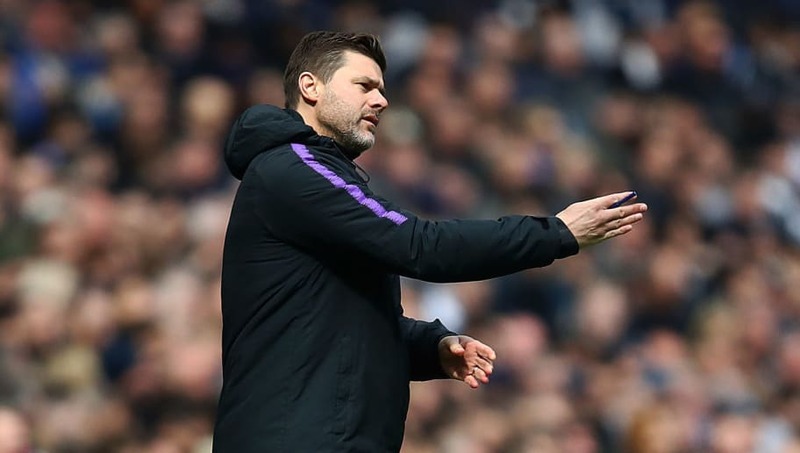 Following the injury to Kane and the resting of players at the weekend, Mauricio Pochettino has some interesting choices ahead of him on Wednesday night. Hugo Lloris (GK): Lloris' penalty save from Sergio Aguero was perhaps more vital than Son's goal, given the weight that away goals carry in the ​Champions League. Another big performance will be needed from the Frenchman on a night when he can expect to be very busy. Kieran Trippier (RB): By his own admission, the England full-back is not having his best season, but he is expected to keep his place for this tie. With Kyle Walker-Peters coming in for the weekend's game against Huddersfield, the former Burnley right-back is expected to regain his place against City. Toby Alderweireld (CB): Despite consistently being linked with a move away from the Tottenham Hotspur Stadium, the Belgian has been a reliable performer for the Lilywhites this year. He will have an enormous job on his hands as he looks to keep a fierce ​City attack quiet on their home ground. Jan Vertonghen (CB): The Belgian has also been consistent for Spurs this season. Vertonghen will be key in both boxes on Wednesday as he will look to provide a threat from set pieces as well as keep City's forwards at bay. Danny Rose (LB): After having a penalty harshly given against him in the first leg, the England left-back recovered well to impress during the remainder of the game. ​Rose's focus will be on keeping City's electric wingers quiet, whilst trying to help his Spurs side on the break too. Moussa Sissoko (CDM): The winger turned midfield enforcer has been integral to the north London side's style this season. Stepping up into this role as Victor Wanyama's performances have faded, the Frenchman will be looking to break down City attacks at any given opportunity on Wednesday night. Harry Winks (CM): The academy product has matured into one of Pochettino's most trusted players this season. Impressing in the first leg, Winks will need to be on top form in order to compete with the home side's midfield prowess in the second leg. Christian Eriksen (CM): ​Eriksen's ability to split a defence with a pass, as well as his ability from dead-ball situations means the Dane is a shoe-in to start against City. The former Ajax man's delivery will be a threat for Spurs in a game where they will see little of the ball. Dele Alli (CAM): Expected to play a more conservative role in this fixture given his side's advantage going into the game, ​Alli will be looking to press the City midfield and back line all night. The English midfielder may be the chosen Spurs player to stay tight to Fernandinho in an attempt to upset City's rhythm. Son Heung-min (ST): After Kane was injured in the first leg, the Korean forward is expected to lead the line for Pochettino. Though he may not get much in the way of clear goal scoring opportunities, ​Son's pressing from the front is likely to set the tone for his entire team throughout the game. Lucas Moura (ST): The Brazilian may be instructed to play deeper on Wednesday in an attempt to disrupt City. However, given his hat-trick at the weekend, Moura will be looking to join in the attacks whenever possible.